SL Netball World Cup hopes in jeopardy? Sri Lanka’s participation in the Netball World Cup 2019 in Liverpool has apparently been jeopardised by a delayed payment to the organising committee. The Daily Mirror learns that each country which has been selected for the World Cup required paying an amount believed to be around five million rupees in three instalments with the initial payment due on December 20. However, the Daily Mirror can confirm that this fee is yet to be made by either the Ministry of Sports or the Netball Federation of Sri Lanka which puts the country’s involvement in the World Cup in serious doubt. Dammika Muthugala, who is the Director General of the Department of Sports Development however, played down the threat of not being able to take part in the World Cup. “I don’t think that would be a big issue because we have informed the Netball Federation of Sri Lanka to inform the World Cup organising committee that the payment could be made very soon,” Muthugala told the Daily Mirror. The Director General also stated that the Department of Sports Development has already issued a letter to the Netball Federation over this matter. “We have already sent them a letter stating that we would only make this payment under two conditions. First, the team that takes part in this event should have the approval of the minister and then they should make sure there is no issue with regard to the visa. However, should they fail to take the team to Liverpool they must refund the money to the Sports Ministry. The big problem is they are yet to respond to this letter,” Muthugala added. It was also revealed that this letter was only handed to the Netball Federation on December 20; the due date of the payment. Meanwhile, in response to this, a senior office-bearer of the Netball Federation of Sri Lanka stated they had in fact informed the Department of Sports Development on this matter long ago. 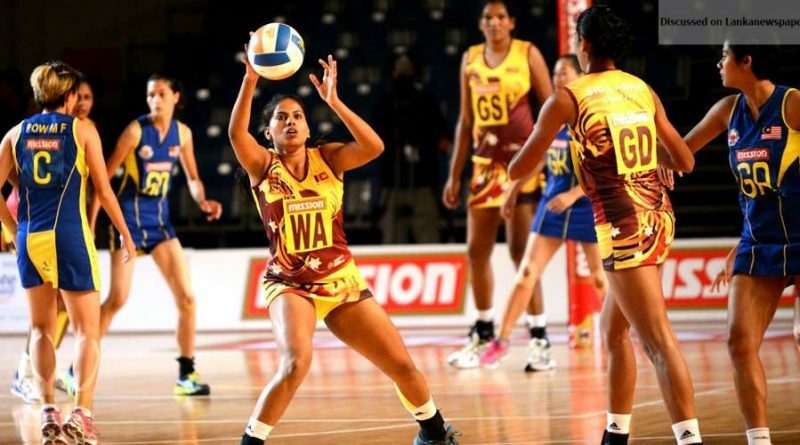 “I am actually shocked to hear this because it was in November that we informed them of this issue and only on December 20 they sent us a letter with these clauses which I find difficult to understand,” the source from the Netball Federation of Sri Lanka claimed. The Daily Mirror’s attempts to contact the Netball World Cup Organising Committee failed as it is not functioning at the moment due to Christmas. It took Sri Lanka nine years to win back the Asia Championship, and under the guidance of head coach Thilaka Jinadasa, the national team has appeared to improve physically and mentally on the field. However, it would be a huge blow; not just for netball, but also for the country’s sports in general if they fail to send this team to Liverpool next year. ← High deposit keeps tenderers away!